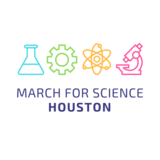 On April 14th citizens from all over the world will be showing their support for science in a variety of ways. 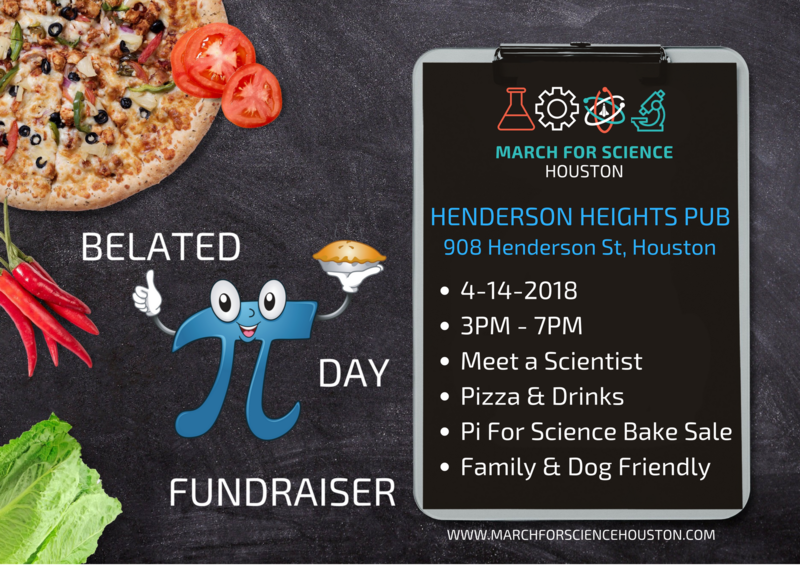 Here in Houston we’ll be hosting a Belated Pi Day fundraiser and Pi for Science Bake Sale! Join us at Henderson Heights Pub on April 14 from 3PM to 7PM for all kinds of pie, both sweet and savory. Henderson Heights has generously donated their patio and a portion of every purchase to support March for Science Houston. Educational tables will be hosted by Be The Match and the American Chemical Society. All the while guests interact with local scientists from NASA, the Texas Medical Center and some of Houston’s most prominent institutions. This is a family and dog friendly event with plenty of entertainment to keep your budding scientists busy. So mark your calendars and bring the whole family to eat and drink in the name of science!